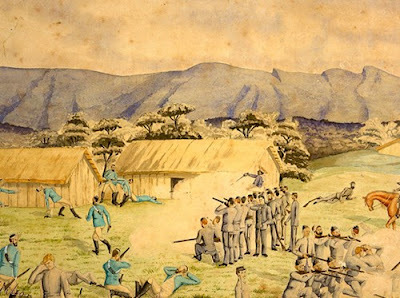 'Settler Colonial History, Commemoration and White Backlash: Remembering the New Zealand Wars', co-authored with Dr Joanna Kidman, has recently been published in its online version by the journal Settler Colonial Studies. When students from a North Island secondary school began a petition to Parliament in 2014 seeking a national day of commemoration for the victims of the New Zealand Wars fought in the nineteenth century, they sparked a national debate about how, why and whether New Zealanders should remember the wars fought on their own shores. Although the petition attracted significant support, it also drew its share of criticism. This paper considers the subsequent debate through the lens of public submissions to Parliament on the petition. A particular focus is on the nearly three-quarters of submissions that opposed the petition. These are examined within the context of wider Pākehā (non-Māori) unease at the unravelling of settler colonial forms of national identity since the 1970s, and the emergence of more nuanced and diverse kinds of identification. For many Pākehā New Zealanders these developments were deeply troubling; and although the numbers involved in actively opposing the petition were small, they represented the extreme edge of broader societal discomfort over the increased visibility of Māori interests and concerns over the same period. For those who cried ‘enough is enough’, the New Zealand Wars petition served as a particularly acute rallying point. The backlash that followed was one that harked back to what some Pākehā saw as simpler, more homogenous and harmonious times. By contrast, the young New Zealanders responsible for organising the petition highlighted the need for a more honest owning up to the nation’s settler colonial history.